Note: This class, previously scheduled for three nights, will only meet on Tuesday, December 4. In a crash course led by Rabbi Jesse, learn how and why to host a Friday evening Shabbat dinner at home. 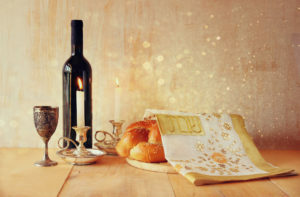 Explore the dos and don’ts of the Sabbath day, learn the origins of the Friday night prayers, and practice singing them so you’re ready to host your own Shabbat.